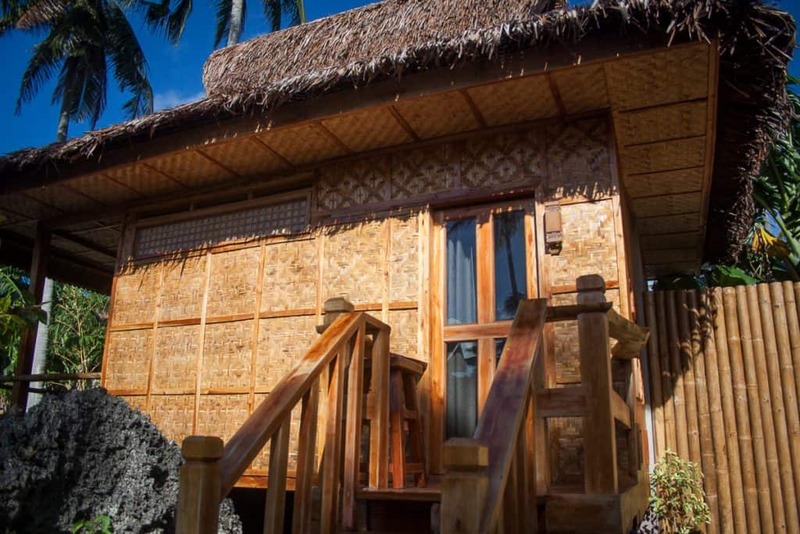 All accommodation is located in Maite village on the west side of the Island (20 mins drive from Siquijor port and 5 mins from San Juan town). Please ask any driver to take you to Baha Ba’r restaurant or ask anybody for directions to Baha Ba’r and any of the staff there will be able to assist you. 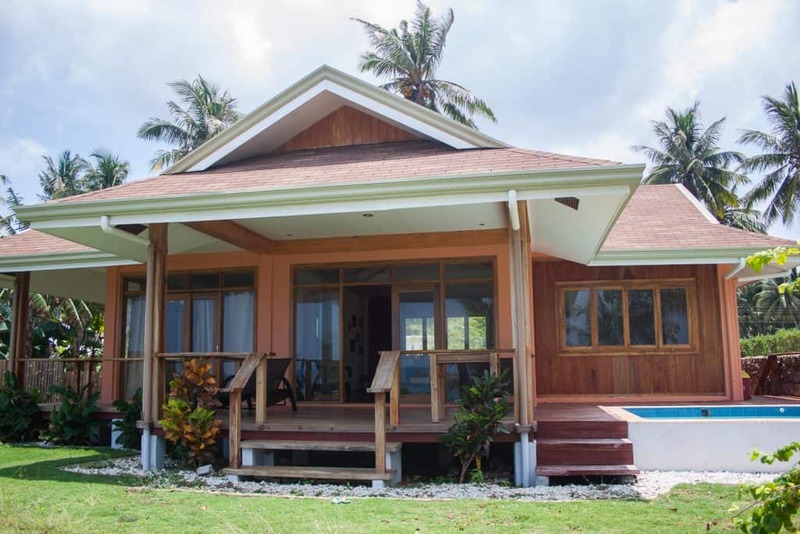 Rhumbutan House is situated on a low bluff above a narrow beach (20m wide) with incredible sunset views to Apo Island. There is a small private plunge / swimming pool in the front garden overlooking the sea. A large shaded front deck and direct beach access. At high tide the sea almost reaches the garden; at low tide a flat limestone platform is exposed where locals search for crustaceans and shellfish in the traditional way. There are no hawkers or children / people trying to sell you trinkets! on the floor on mattresses. Keady is a native design and constructed out of local wood and Nipa products throughout. It is positioned facing west (towards the ocean) without a main window on the southern side side of the building to afford the best opportunity for shade by reducing direct sunlight. However the bedroom area is very light as the sliding door from the western facing deck lets in ample light and also allows the breeze from the ocean to flow into the room. The hot/cold shower area is straight out of a designer handbook (well Pinterest actually!) complete with a living banana tree or two for shade! Windjammer South is a beautiful cottage completed in Jan 2017. It has split A/C, fridge, Acia wood floors, a bathroom with shower (hot water) and an attic room with 2 further beds upstairs (fan only) accessed by a ladder (not suitable for elderly guests). Outside is a small private garden which adjoins a small vegetable and fruit garden with many papaya. other when locked. 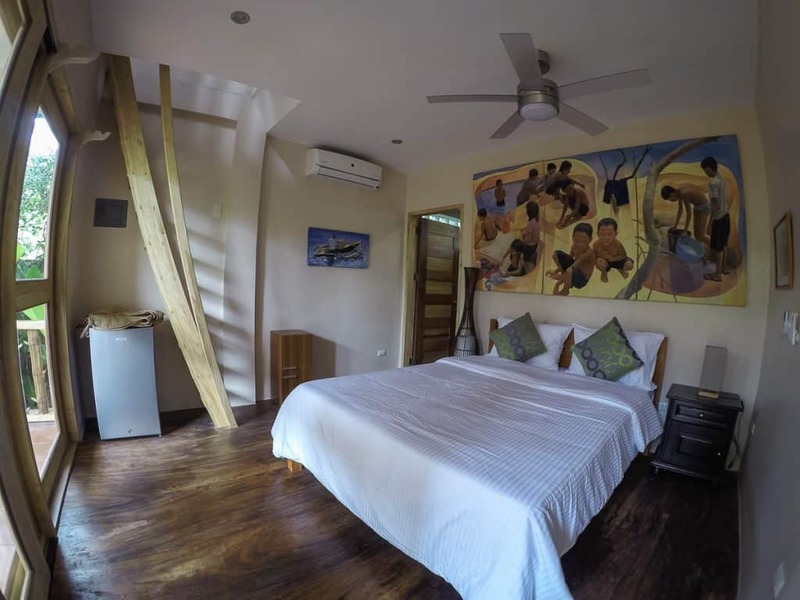 Obviously only both Windjammer North and Windjammer South cottages can be combined and joined if both are available for rent overthe same time period! Fazenda Store proudly announces that the Fazenda Dormitory room above the delicatessen (next to Cesar’s guest house). There are 4 bunk beds (for a total of 8 single beds) in a tiled floor room with clean showers and a good bathroom. A/C and ceiling fans are in the room to provide relief from the heat. There is also a very comfortable outdoor nipa ‘thatched-roof’ seating area upstairs which catches any breeze from either the ocean or the hill behind. The building is located in a Mahogany wood setting close to Baha Ba’r restaurant and Baha Bar’s organic farm.